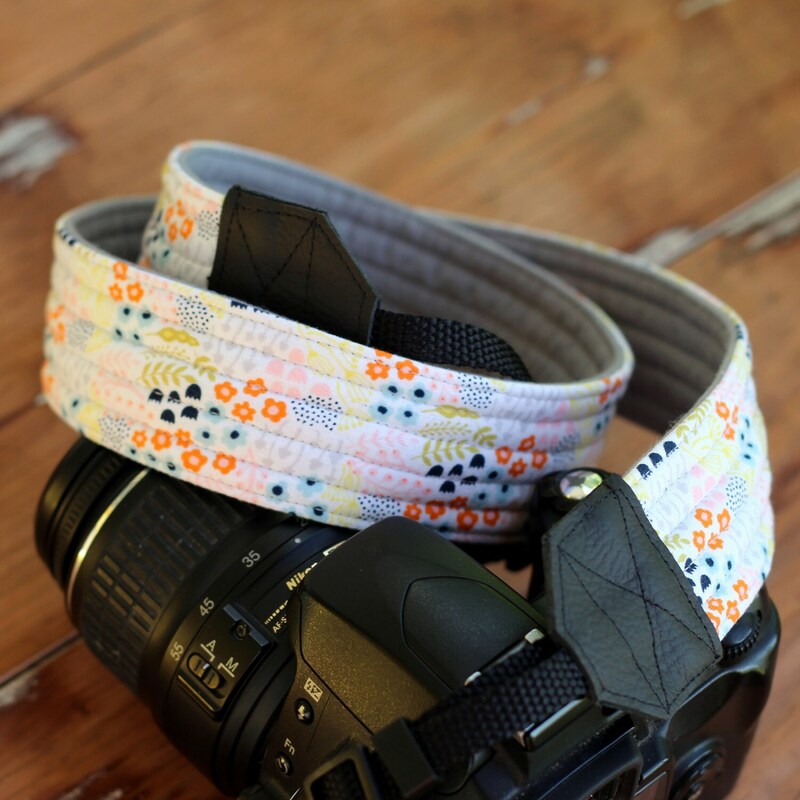 Enjoy the delicate florals of this beautiful camera strap. The flowers in tones of blue, orange, pink, yellow, green, and gray against a white background complement the solid gray background perfectly. 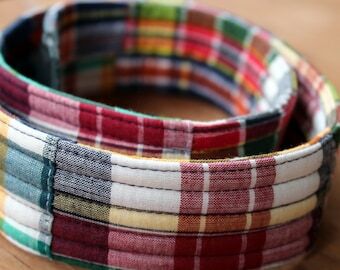 Wonderful as a gift or for yourself, this camera strap has just the right amount of personality. The camera strap is lined for comfort when wearing. It is crafted around strong webbing to create a strap that is comfortable, won't stretch, and is sturdy enough to last for years. The end pieces are black leather.